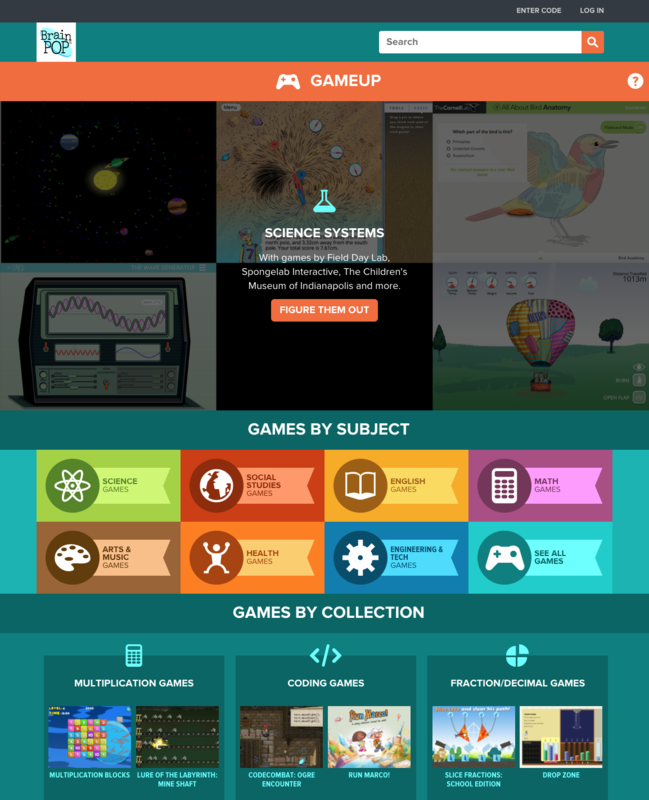 GameUp is a free, curated collection of cross-curricular learning games developed by BrainPOP and by leading publishers, universities, and other organizations. You can find relevant GameUp games on all BrainPOP and BrainPOP Jr. topic pages. Each game is paired with supporting resources and best practices to facilitate game-based learning in instruction. To search for games by subject, grade level, or duration, use our Game Finder.